The objective of the Scheme is to provide financial assistance to the Economic Backward Class who are admitted to Diploma / Degree / Postgraduate Professional courses through Centralized Admission Process (CAP). a) Applicant should have Nationality of India. b) Candidate should be Domicile of Maharashtra State. e) Candidate should be admitted through Centralized Admission Process (CAP). f) Applicant should not avail any other scholarship/stipend. g) For current Academic Year, Only 2 child from family are allowed for benefit of scheme. h) The Total Annual Income of Family / Guardian should not be more than 8 Lakhs. i) Minimum 50 % attendance in previous semester (Exception for fresh admitted in College). j) During course duration, candidate should not have a gap of 2 or more than 2 years. Just follow the below steps to apply for the Rajarshi Chhatrapati Shahu Maharaj Shikshitra Fee Scholarship Scheme 2018-19. Step 1 : Go to the official website of Maharashtra Directorate of Technical Education through the URL provided above. Step 4 : New user will register on this portal and then get scheme related benefits after login in through the registered username and password. Step 5 : The new user to Register into the portal, click on “New Registration” link. 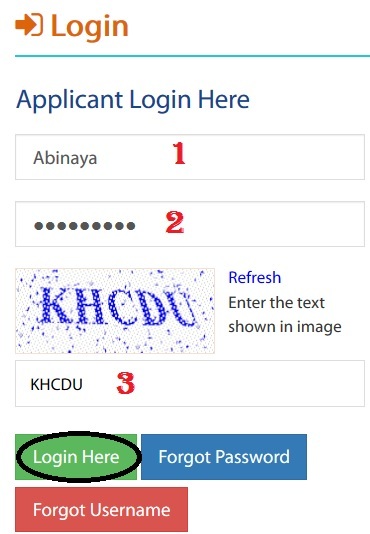 Fill the required details to get the user name and password. ** e.g. Institute/Dept/DDO : School or College / Departmental approval authorities. Step 2 : Login using created/registered Username and Password. If User Forgot User Name / password then Click on Forgot User Name / Password section on the Home DBT page. Then the User has to select Authentication type Mobile number or Email id. Step 2 : The User will receive an OTP on registered mobile or email on after successful verification of entered details. Step 3 : Enter the system generated OTP which has been send to registered mobile number or email. System validates the OTP, which has been send to registered mobile number or email. Step 4 : Enter the New Password & Confirm Password and click on change Password. a) Mark sheet of 10th (S.S.C) & Onwards. b) Domicile Certificate of Maharashtra State. d) Undertaking “In current year, not more than 2 beneficiary from family”. f) Proof of Biometric attendance (Interface UIDAI). The last date of submitting application is most likely 28th February 2019. Please submit your online Application as early as possible.